The garden can be one of those areas that just gets away from you. As much as you’d like to be the talk of the town when it comes to your flowers or your perfectly manicured lawn, it takes a lot of time – and effort – to ensure the grass is greener on your side of the fence. If you’re looking to turn your garden around, chances are you’ll need some fertiliser to bring some life back into your lawn and plants, but is that bag of fertiliser you’ve had in the shed for the past few years safe to use, or will it end up making a bigger task for you? 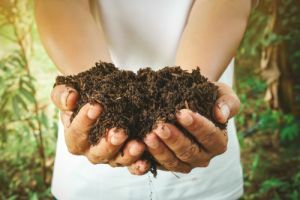 In this article, Canstar Blue looks at whether or not fertilisers are safe to use after years of storage, as well as which types of fertilisers you can use in your garden. Fertiliser is classified as any material, natural or synthetic, that is applied to plants or soils to supply nutrients essential to growth. Fertilisers assist with plant health either through direct absorption, or by improving the surrounding soil, and comes in a variety of options and types. Fertiliser primarily contains nitrogen, phosphorus and potassium as the main macronutrients, along with a variety of micronutrients – such as calcium, magnesium, copper, iron and sulfur – all of which are vital for plant growth and health. While most fertilisers will contain different proportions of the nutritional breakdown, the macronutrients are common amongst all types and brands. But with plenty of options to consider when you walk through the aisles of your local hardware store or nursery, which type of fertiliser you grab could mean the difference between the garden of your dreams or accidently killing your prize plants. Granular fertiliser – dry fertiliser that often comes in pellet form, making it easily spreadable on gardens. Liquid fertiliser – water soluble powders or liquid concentrates that can generally be attached to the end of your hose for easy use. Liquids are generally more easily absorbed by plants and soils than dry fertilisers, allowing the plants to reap the nutritional benefits quicker. Nutrient-specific fertiliser – some gardens need a specific nutrient more than others, with specific-nutrient fertilisers available to ensure your plants and lawn get what they need most. Organic fertiliser – made from naturally occurring materials such as animal or vegetable matter, organic fertilisers are chemical-free. When it comes to the garden, most of us will prefer to stay chemical-free, particularly if you have little ones or four-legged friends running around. Artificial fertilisers primarily feed your plants, whereas the organic fertilisers additionally improve the soil conditions surrounding the plants, ensuring that proper nutrition continually reaches your garden. Manure is the first thing that many think of when it comes to natural fertiliser, as it has plenty of organic matter, although it can be low in nutrients. Guano is also a type of manure, collected from shellfish, seabirds or bats, and can be purchased at most nurseries. Other organic fertilisers are plant-based, which includes compost or grass clippings, making it a handy DIY project around the home. One disadvantage of organic fertiliser is that it takes longer to break down than artificial fertilisers, meaning your garden and plants won’t benefit from the minerals and nutrients right away. 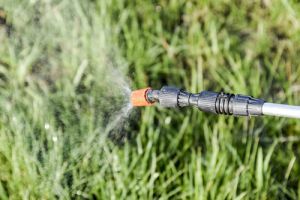 So, if you’re in a rush to save your garden, artificial fertilisers may be the better option, although this will depend on what area of your garden you’re looking to revive. Do fertilisers have expiry dates? How often you fertilise will depend on a number of factors, including the season, what you’ve planted in your garden, along with the temperature and average rainfall of your area. 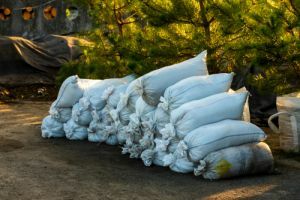 As a result, some may go through a bag of fertiliser quickly, while others may have a bag left in the garden shed for years. But is that bag safe to use, or should you make a trip to the store for a fresh one? Dry fertilisers have an indefinite shelf life as they consist solely of nutrients and minerals, meaning that they won’t break down while in storage. Liquid fertilisers made from organic matter additionally have no expiry date – although you may have to shake the bottle to break up any settlement before use. However, fertilisers with active ingredients (such as weed and pest control products) generally have a shelf life of a few years as they lose their potency over time. If you’re not sure about whether it’s safe to use, check the product label for information. While you may not have to worry about your fertiliser losing its effectiveness, it doesn’t hurt to ensure your fertiliser is stored properly for next time. It’s recommended to store fertiliser in a dry, cool and shaded area, and to keep it in its original packaging or a tightly-seal plastic container. This ensures that you not only keep moisture out – which can clump your fertiliser – but you don’t accidently mix up your fertilisers! If you’re not sure how to properly store your fertiliser, check the packaging for the optimal conditions for the product, as it may have certain storage conditions. What type of fertiliser should I buy? Some gardens will need constant love and attention, while some hardier gardens and plants can go long periods of time without as much care. 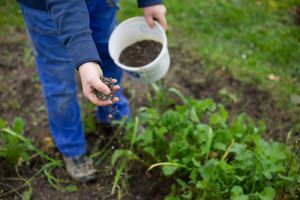 As a result, what type of fertiliser you buy – as well as how much and how often you buy it – will come down to your individual garden, as well as what’s planted in it. While it’s comforting to know that most fertilisers can stick around until needed, researching into what’s available at your local store or nursery may save you a bit of heartbreak down the line.